The Sierra RS Cosworth was introduced in 1986 but had been in development since 1981. 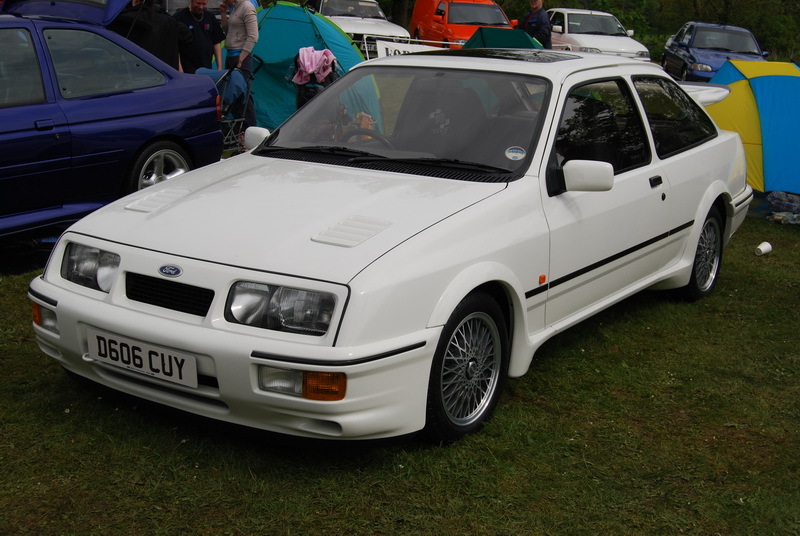 The looks of the Cosworth were very different to other Sierras with an RS body-kit, large rear spoiler & changes to the front grill & bumper. 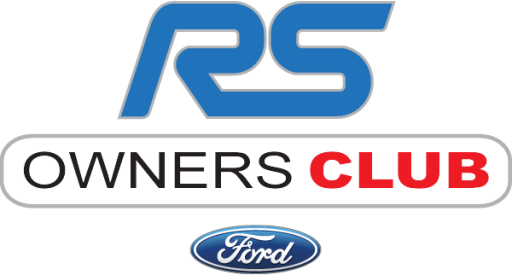 This RS was very successful in motorsport, both rally and track. The engine was based on the “Pinto” block with the Cosworth developed 16 valve aluminium head. The 16v head was originally going to be a tuning part offered by Cosworth for the humble OHC engine. Very much like the Warrior conversion of that time. If was not for a lucky break in a pub in Northampton GB, This RS may not have been so successful. It was asked of David Turner “Would the relationship with Cosworth do for Sierra what Lotus did for the Cortina ?”, I think it did that and more. The 16v 1993cc engine easily produced 204 bhp for road use with the help of Garrett T.03b turbocharger and Weber-Marelli fuel injection. 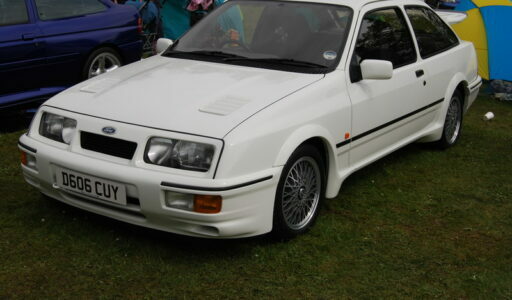 Brakes and chassis were upgraded from the standard Sierra setup and despite the extra drag produced by that rear wing, the Sierra RS Cosworth reached a top speed of 149 mph (240 km/h). This Sierra was really a bargain supercar with a price of just under £16000. Bore and stroke 90,82 x 76,95mm , 1993cc, compression ratio 8:1. Mahle forged pistons. Weber-Marelli engine management system. Garrett T03 water-cooled turbocharger, max boost 0,7bar, air-to-air intercooler. Max power 204hp at 6000rpm, max torque 278Nm at 4500rpm. Front: McPherson struts, 28mm anti-roll bar. Rear: Independent , semi-trailing arms, coil springs, 14mm anti-roll bar. Front:283mm vented discs, four-pot calibers . Rear: 273mm solid discs .